In the mid 1990s, the Society began a research project to evaluate new educational methods developed in the USA by the Institute for the Development of Human Potential to accelerate early childhood learning of language, math and general knowledge skills. Read more. Rarely do we find the educational system fostering the natural process of spontaneous, self-motivated self-education in which children learn just as they play and as a form of play out of their innate curiosity and urge to acquire knowledge of the environment. Read more. The Society has formulated strategies for widespread application of computers as an instrument for vocational training and distance education. One strategy calls for establishment of a national network consisting of 50,000 private computerized vocational training institutes known as "Job Shops". Society staff conducted discussions with the Union Planning Commission and Government of Tamil Nadu as well as leading companies in the software industry including Microsoft, NIIT, Wipro and NASSCOM, which endorsed the strategy. The findings of this project were presented at the 8th National Conference on E-Governance in Chennai. Read more. 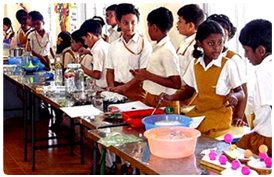 In 1999 MSS established Primrose School in an urban area of Pondicherry to demonstrate the efficacy of the results among children of more socially and economically advantaged families. 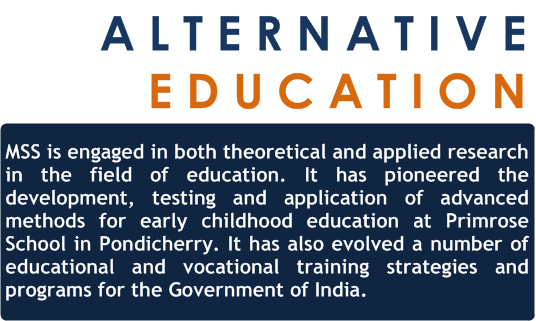 Primrose School has been widely recognized as the most advanced institution for early childhood education in Pondicherry. 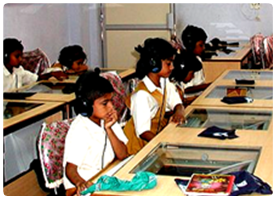 In 2006 Primrose Educational Trust, a Chennai-based organization, drew up a plan to establish a chain of Primrose schools in other parts of South India and opened its first school in June 2006. 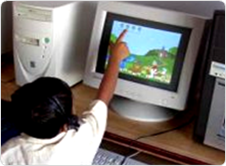 In 2007, Primrose was affiliated to Council for the Indian School Certificate Examinations (CISCE). In 2012, the educational programme at Primrose School is being extended to include all levels of high school, from pre-kg up to the 12th grade. In 1981 the Society evolved a novel strategy for improving the transfer of agricultural technology to farmers. The strategy calls for the establishment of a Farm School in each village on lands leased out from farmers. Classes are conducted for young farmers in the field and the students are paid for their field labour, so they can earn while they learn. The income from cultivation covers the entire cost of operating the school. The first farm school was established by E.I.D. Parry & Co. near their sugar factory at Nellikuppam, South Arcot District. One year classes in cane cultivation were introduced. In the very first year, the students obtained a yield of 56 tons per acre, nearly twice the average achieved by farmers in the district. In 2005, the National Farmers Commission of India, on Society's recommendation, proposed establishment of 50,000 farm schools throughout the country to disseminate the latest technology to farmers. Read more.